Burningham Realty app provides instant access to Burningham Realty Realtors, property information, real estate searches by school, zip code, and more! Find the real estate you’re looking for and get instant access to the My Florida Regional MLS. 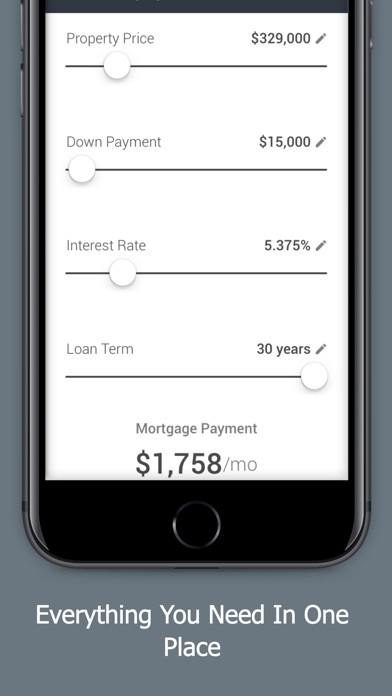 Some Key Features Include: SAVE YOUR FAVORITES TO A HOME BOARD COLLECTION • Find for homes near you with one tap, pin those that you love sharable home boards and receive instant alerts when new matches hit the market (updated every 10 minutes in most markets). 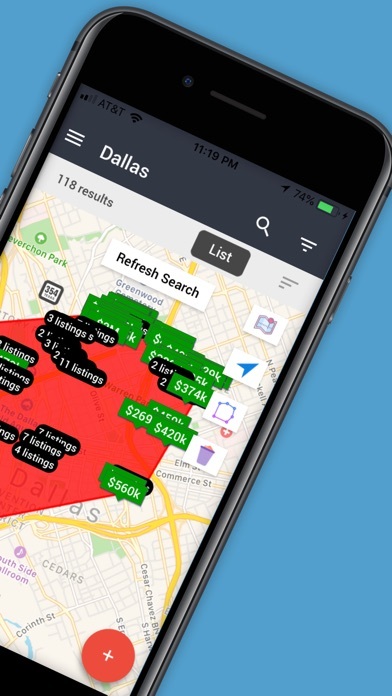 • Search by Neighborhood, listings, MLS#s or simply use the map to find homes anywhere near you • Organize your search by pinning your favorite listings to your own custom-curated Home Boards where you can quickly set alerts to be sure you are notified when any similar properties hit the market. 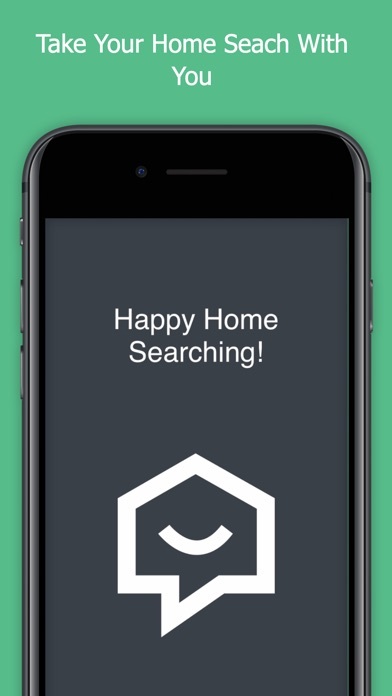 • Create as many Home Boards as you’d like to easily visualize and categorize your home search. • Quickly view all available photos for a listing without ever leaving your search window by simply swiping to the right of the home image with your finger. • Sort and filter your home search by price, square footage, property type, most recent, most popular, and other relevant criteria to help narrow your search. HOME SEARCH IS BETTER TOGETHER! • Quickly share an individual property listing with someone via SMS, email, social media, or AirDrop it to a friend nearby. • Easily share your Home Board collections with friends, family or agent to bring those closest to you along on your home search journey. By sharing your Home Boards, you can keep those involved up-to-date on any new listings you’ve pinned or any changes in listing status. • Tag your favorite home features using our Savvy Tags, which highlight what you love about a home. • Make the home search more social by sharing your thoughts on a home in the ‘Comments’ section of any property listing. 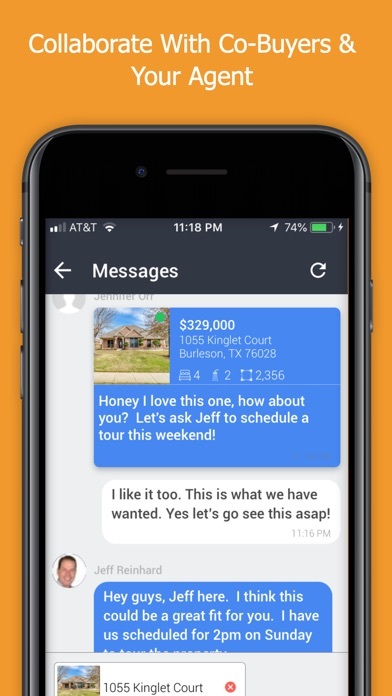 COLLABORATE WITH FRIENDS, FAMILY AND YOUR ATX HOMES AGENT • By sharing your Home Boards, you can collaborate over the listings you have pinned to them directly from the app. • When you collaborate with your family, friends or agent via Home Boards, you can keep feedback and ideas organized all into one place. • Not working with an agent yet? You can connect with any of our agents. HOME SEARCH AREAS INCLUDE: Orlando, Windermere, Winter Haven, Davenport, Celebration, Doctor Phillips, and more! 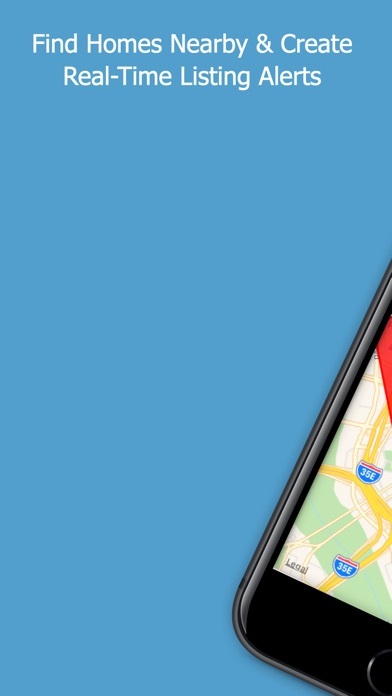 Get the Burningham Realty app and search Orlando area real estate like never before! More by Real Savvy, Inc.